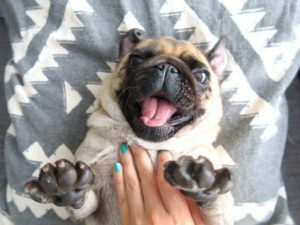 And lucky for you, if you’re not a pug owner, you can still browse pockets of the internet (read: Instagram and Buzzfeed, coughcough) for the cute pug pictures you crave. 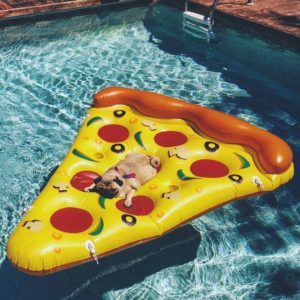 To make it easy on you, we’ve rounded up the 10 most popular pugs on Instagram that you need to start following now! Consider your daily cuteness quota met. Story: Igor is best described as a model, actor, and therapy dog. 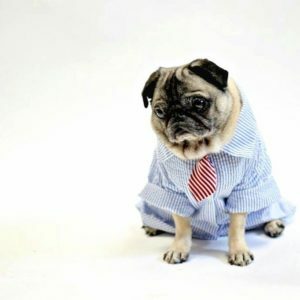 In his free time, he works as a brand representative for DressedbyFinn.com, an e-commerce shop with cute dog clothes like the Carlisle blue shirt Igor is modeling in the above photo. 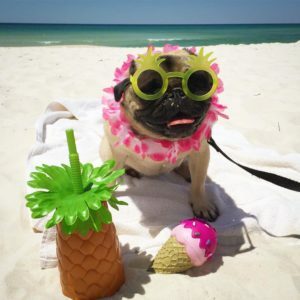 Follow him for more stylish pug photos. 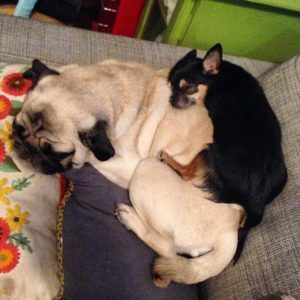 Story: Boogie’s a rescue pug living in NYC with his chihuahua brother Marcelo. They are often photographed wearing matching dog attire (makes it totally worth a follow!) and they both love to cuddle. Story: Roxy is a bit of a diva pug. She lives in Nashville, Tennessee and loves biting and chewing things, and going to the beach. 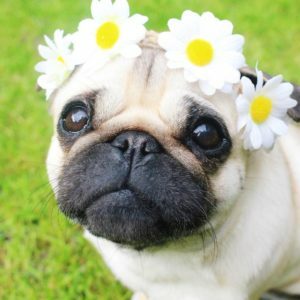 Follow her for cute pug pictures and several pics of her in costume, including dressed as a pineapple, devil, bunny, and leprechaun. 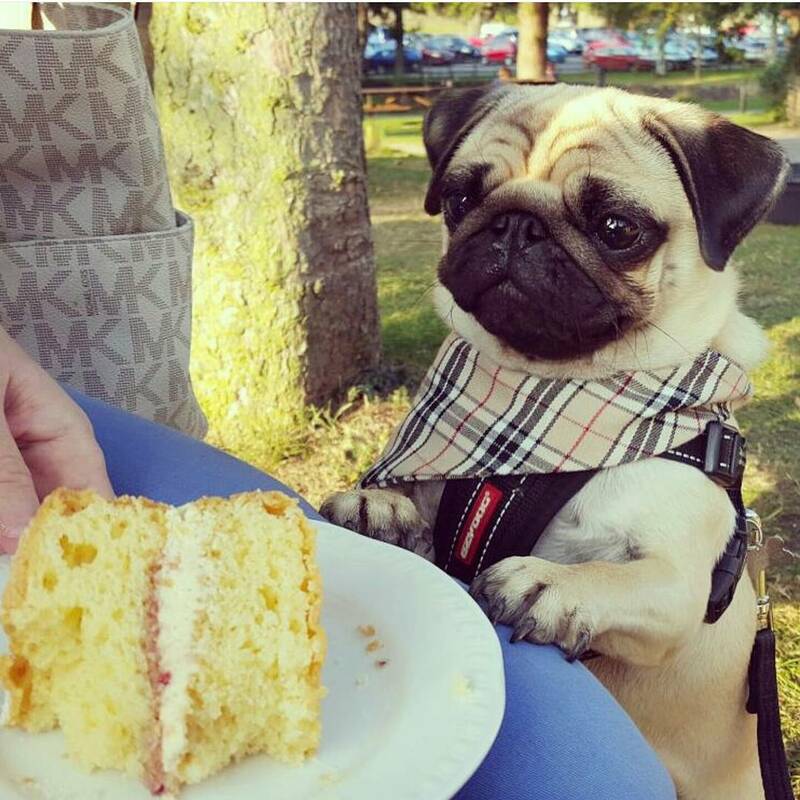 Story: Mack is an enthusiastic pug living in the Netherlands. He loves stinky shoes and serves as CEO of the Flat Nose Society, which sells products for other pugs like him! Follow Mack for photos of him cuddling with his owners and swimming and running outside. Story: Born May 2015, Helmet Newton has moves like Drake and loves pizza. In fact, he even had a pizza party for this first birthday. 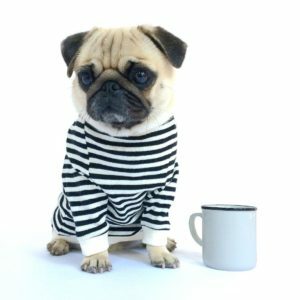 Follow him for the best “pug thug” photos on the internet. And for several pics of Helmet longing for pizza. Story: Moose loves the outdoors and, from the looks of it, spends a lot of his time in NYC. Follow him for cute pug pictures of him against cool graffiti backdrops and hanging out with more of his pug friends. 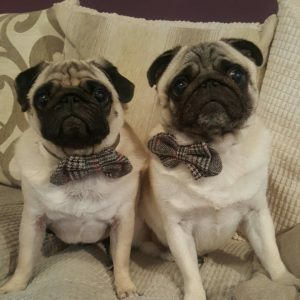 Story: Alphie and Teddy are pug brothers from South Wales. 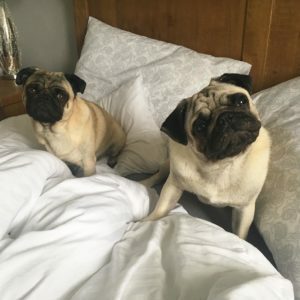 Follow them for the cutest pug duo photos you’ve ever seen. They’re often pictured cozy in bed, struggling to wake up. Story: George and Teddy are from England. They love to dress alike and you’ll notice from their Instagram account that they hate being apart from one another. Follow them for cute photos of them in matching outfits.